Sold per sheet. 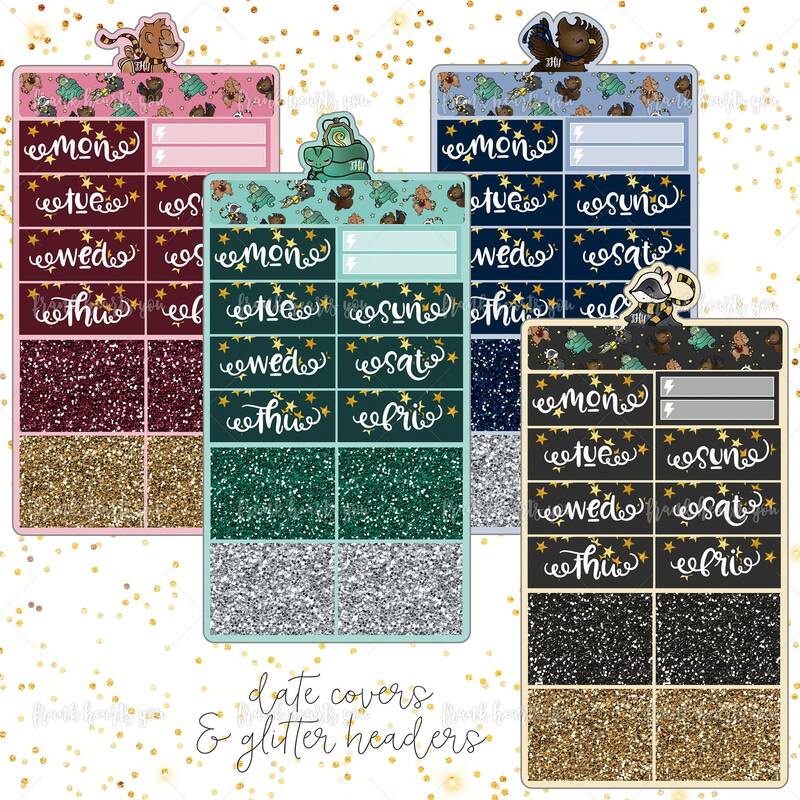 A mini sheet of coordinating date covers and glitter headers for the All Sorted mini kits. Please carefully select your options from the dropdown. Each sheet comes with 7 date covers, 1 accent box, and 1 long banner sticker plus 16 glitter headers cut for the EC Vertical or Happy Planner.